Fine wines rise in value because of two main reasons: the first being that each vintage is produced to preordained maximum quantities. The second is the ever-increasing demand for wines regarded as suitable for long term storage or ‘bedding down’. Basic supply and demand is the driving force behind the market with branding also playing a key role. Unlike many areas of investment, the finite production levels of fine wine are paired with an increasing rate of consumption, something that is not commonplace in most markets. A buoyant European following, along with a resurging US market and the addition of rapid growth in the collection and consumption in Asia means the market is in a state of evolution. French wine has long been regarded as the pinnacle of fine wine investment with wines produced to quantities decreed by the Appellation d’Origine Contrôlée (AOC) laws of 1936. These laws even dictate the yield of each acre of planted vines and are subject to strict controls. Under the Bordeaux Wine Official Classification of 1855 there are five First Growths or Premier Cru wines against which every other product has been judged. These are followed by Second, Third, Fourth and Fifth Growth wines produced to varying quantities. Wines of note produced outside of Europe, sometimes referred to as ‘New World’, are restricted to existing production levels by the availability of land and quality vines, generally produced in tiny quantities they make up the boutique element of the market. The fine wine market is overwhelmingly made up of red wines with only a very small percentage of exceptions to this rule. Fewer than 2% of all wines produced globally are considered to be of sufficient quality to rise in value, with only the vintages that are graded highly enough by the World’s most influential critics deemed to be of investment grade. With the price of these wines rising in value as they approach drinking maturity, the importance of selecting the correct vintage is fundamental to the performance of a portfolio. Classic, celebrated vintages such as 1982, 1996 and more recently 2005 have been great examples of the added security that a classic vintage can offer. Consumers, connoisseurs and collectors, together known as the secondary market, will traditionally look to acquire wines just prior to the wine’s maturity window. Their selection is often influenced by the World’s leading critics, whilst some buy based on brand, with history, ownership, wine maker and exclusivity also influencing buying patterns. Almost all New World fine wine is fit to drink soon after its release and will be reaching the start of its maturity window five to eight years from that point. Individuals will be looking to source them from the beginning to the mid-point of that maturity window, which could range from twenty to fifty years. Old World wines generally have a lengthier maturity cycle but will normally be considered the blue chip element of a portfolio and reward owners over the extended hold term. This is why we aim to understand a client’s wider financial goals, enabling us to utilise all aspects of the market and build a bespoke portfolio. 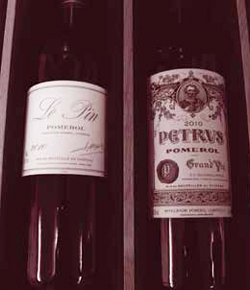 Private wealth plays an integral part in the fine wine market’s ongoing development. There are an estimated 14.6 million high net worth individuals in the World with investible assets of over $56 trillion. This figure includes 6.7% growth within 2014 and in 2015, according to Forbes’ latest ranking, there are 1,826 billionaires with a combined worth of $7.05 trillion. As the fulcrum of the market, these individuals continue to support the consumption and acquisition of the World’s finest wines. The fine wine market also offers an added attraction, with significant tax advantages due to its status as a ‘wasting chattel’. We recommend speaking to a tax adviser to see how it could benefit your investment portfolio.